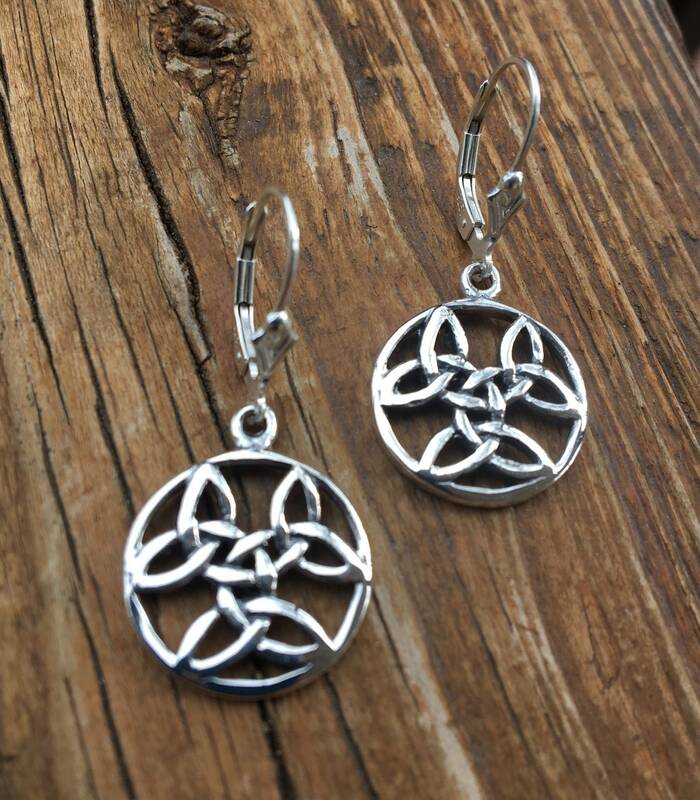 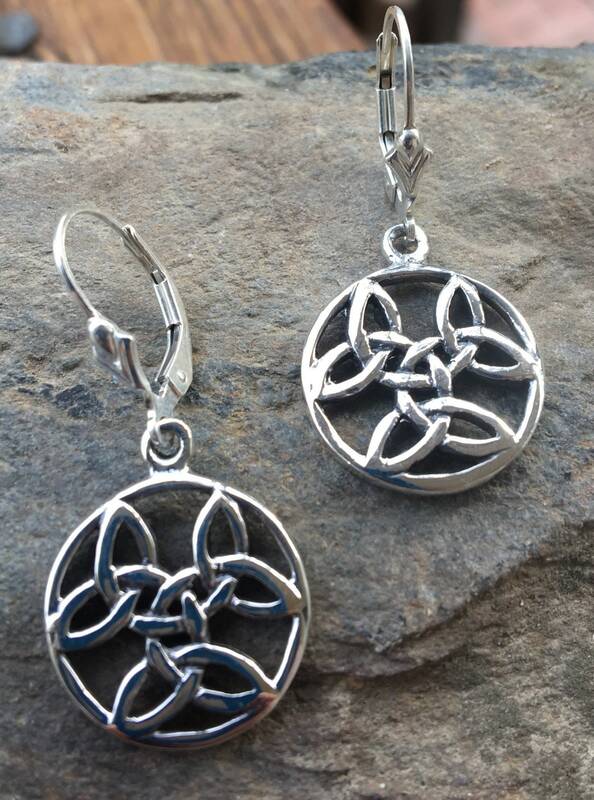 These sterling silver Celtic Earrings are perfect for everyday. You may choose leverbacks or regular wires. 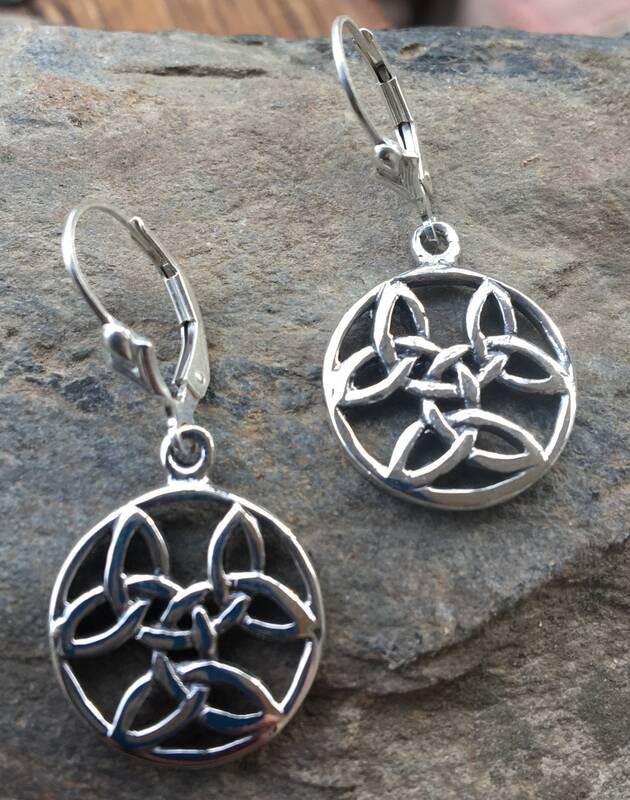 Measure 1 7/16” long (leverback wire included). 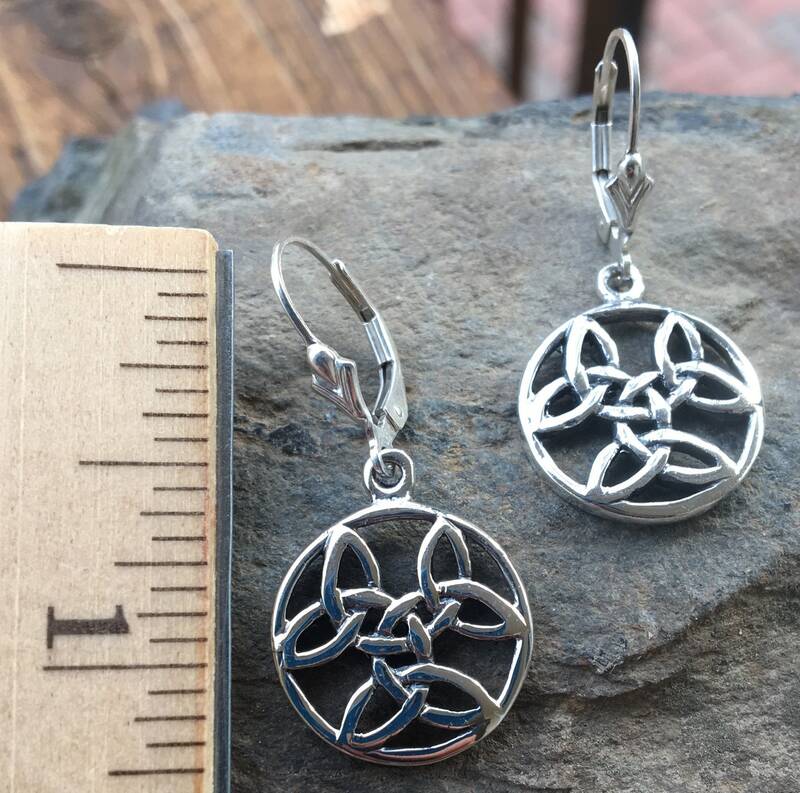 The drop measures 13/16” long. 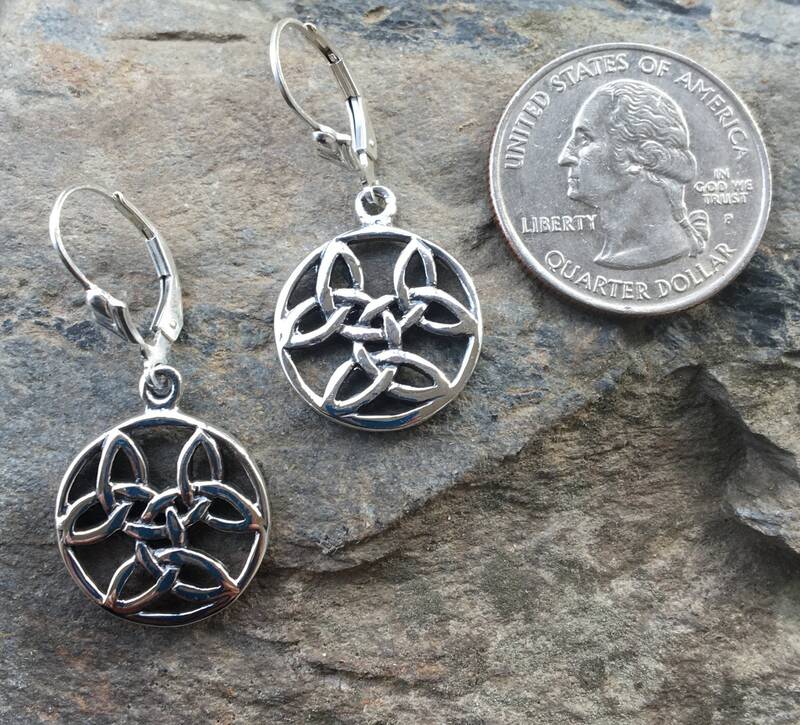 The Celtic charm measures 11/16” in diameter.